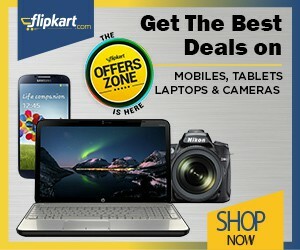 Planning to buy laptops below Rs 30000 then you are landed at the right place at the right time. The demand for budget notebooks has always been large, be to get a school student or even a home person. Be an undertaking or company, the laptop has become the most crucial electronic device nowadays. These laptops provide a great combination of layout, build quality, performance and screen. And also, most notebooks in this budget pack specifications great enough for tasks such as browsing and working on MS Office. The category of laptops under Rs 30000 is a perfect choice because the category doesn’t come with cheaper laptops and also doesn’t comes under overpriced laptops range. There are more than a hundred laptops under Rs 30000 rupees price in India but we have come up with the top 10 laptops within 30000 price tag. All the laptops have the best configuration loaded under this budget which truly satisfies one. In this price range, you will get the laptop with 4GB RAM, 1TB Hard drive, Intel Core i3 processor, latest Windows OS and more. The listed laptops are perfect for college students (Engineering), home use, programming, gaming, and video editing. Here we have listed top brands like Lenovo, Acer, HP, and ASUS. Read more good articles- Best Laptops Below Rs 25000 in India and Best Laptops Under 35000 in India. You can play games with these laptops as some of them come with the pre-installed dedicated graphics card. All the laptops below 30k are compiled according to the suggestions processed by Tech Guru, NDTV, Smartprix, My Smart Price and 91 Mobiles. Note- All the laptops are listed randomly.There is no ranking are provided to these laptops. According to me all the laptops under 30k are best and has powerful configurations. For 25,000 Rs. 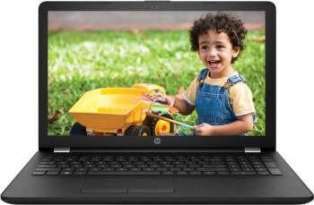 HP 15q-bu007tu (2SL05PA) Laptop is the best deal you can get. This is the only good laptop which comes with a Graphics card in this range, though it has only 512 MB Graphics Card which is absolutely not meant for high-end gaming but can deliver good gaming experience if you play small games and can be used for graphics rendering. It has an Intel Core i3-6006U (6th Gen) processor clocked at 2.0 GHz which delivers a very good performance. 4 GB DDR4 RAM backs the processor. 1TB Hard disk is sufficient considering the price point. This laptop is a best overall package with good performance but its design is not much exciting. So if performance is a high priority to you then this is the best choice for you else, take a look at other laptops in the list. 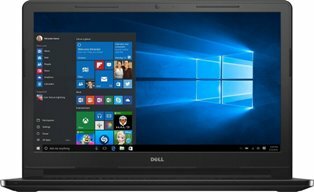 Dell Inspiron 14 3467 (A561201UIN9) Laptop laptop from Dell has pretty much similar specs like the HP laptop above, except that it doesn’t have a dedicated graphics card. The i3 Processor from Intel delivers good performance. The 4 GB RAM makes sure there are no lags in the performance. Also, Dell designs its laptops beautifully and it has done the same with this. The first time laptop buyers or the ones not having high usage will find this laptop amazing, it’s Quite a good package considering the price. It’s Dell and its Intel! The Dell Inspiron 14 3000 3467 Laptop in the list were powered by Intel’s i3 Processors, now its time to move on to Intel’s processor. This laptop offers Intel’s latest 6th Generation i3 processor clocked at 2 GHz. This processor has a very good performance but, the reason it is placed at the 3rd position is, it is backed by only 4 GB of RAM. No worries though, it delivers good enough performance. Dell is known for its amazing technology, design, style, quality, and service. It also comes with Windows 10 so you can explore additional features with this laptop, taking advantage of the Apps in Windows 10. Lenovo IP 320E laptop has the best configuration in this list but quality and services matter to that’s why it is ranked 4th, as most people would like to buy laptops from renowned companies. 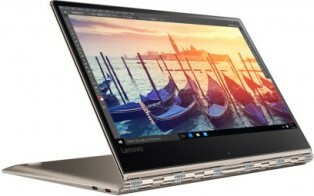 But with this laptop, Lenovo offers a great overall package with 6thGen i3 Processor which is probably the best processor compared to rest of the four laptops in this list and 4 GB RAM. You will not feel disappointed with the performance of this laptop. 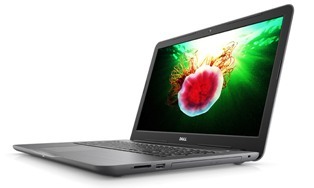 Dell Inspiron 15 3565 (A561226SIN9) Laptop is the most stylish and has the best design among all the laptops mentioned in this list. Here Dell scores full marks with the design as it is also the lightest laptop in the list. Apart from design, coming to its performance, the laptop is powered by an AMD Dual-Core A9-9400 processor compared to other Quad Core processors in this list. Though it is not too bad it is certainly not the best you can get for 25,000 Rs. Spending your money on any of the above 4 laptops is recommended unless you want a stylish design with moderate performance. On this spot again comes a laptop from Lenovo. The Lenovo Ideapad Yoga 510 (80S9002QIH) Laptop has got some nice specifications. It is especially for those who need more storage. It has got 1 TB of Hard disk drive which is excellent if you like keeping lots of movies with you. It runs on the AMD APU Dual Core A9 9410 processor clocked at 2.9 GHz. It has 4 GB of RAM and a 14.0 inches screen. For gaming, it has got an Intel HD graphics card which is okay for light gamers. Overall it is a good choice if more storage and good performance are what you need. Acer Spin 1 SP111-31 2 in 1 Laptop has launched the new Compaq series laptops in India recently. The laptop promises to deliver good performance with its Intel Celeron Quad Core processor. It has 4 GB of RAM, 11.6 inches screen with good display and 500 GB of Hard Disk. It comes with a pre-installed Windows 10 OS, so you need to install one. This laptop doesn’t have a dedicated graphics card so, it’s not for gamers. Most of the above laptops run on the Core i3 processor but this laptop runs on the Celeron Quad Core processor so, if good performance is all that you want, this can be a good choice. Also, there is extra Rs. 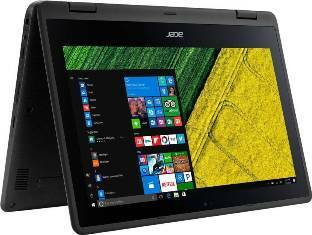 2,500 off on this Laptop on Flipkart (This offer is at the time of writing this post, the offer can be changed later) so, buying it can be a good deal. 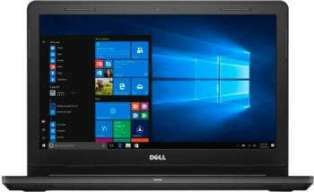 For anyone looking for a perfect Dell laptop under 30,000 Rs. this is the best one. It has got everything balanced, it has good performance, good gaming, good storage & good design. This laptop runs on the Intel’s latest 6th Gen Core i3 processor with 4 GB of RAM and it provides a really good everyday experience with fast processing without lags. The display is very good and it comes with a 1 TB hard disk which is a good amount of storage. The laptop comes with an Intel HD Graphics card which is very good and it provides the best gaming experience. It doesn’t come with Windows pre-installed so you can install it yourself or can take the help of any computer shop, they will do it easily. So, if you are someone looking for a good laptop either for work or for entertainment and playing games, this will be the best choice for everyone, no need to look at the other laptops in this list. This HP Pavilion 15-af006AX (M9V38PA) Laptop machine also run on the latest AMD Quad-Core A8-7410M processor with 4 GB of RAM. But the screen size is 15.6 inches and also the hard disk is 500 GB which is the half of the HP Pavilion 15-af006AX. It comes with 2 GB AMD Radeon R5 M330 which is great for gamers but a smaller screen will take away some gaming experience. So, if you want the laptop for gaming purpose then going with the HHP Pavilion 15-af006AX will be best and this laptop with good performance is a very good choice if you are a frequent traveler, its good and lightweight. Acer has launched the new series laptops in India recently. The laptop promises to deliver good performance with its 5th Gen core i3 processor. It has 4 GB of RAM, 15.6 inches screen with good display and 1 TB of Hard Disk. It comes with Linux pre-installed. This laptop doesn’t have a dedicated graphics card so, it’s not for gamers. Also, there is extra Rs. 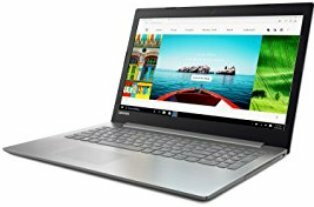 2,500 off on this Laptop on Flipkart (This offer is at the time of writing this post, the offer can be changed later) so, buying it can be a good deal. How to select the best laptops for programming? Selecting a good laptop is a bit difficult task. Especially when you are selecting a laptop for programming purpose. When you are in the programming field, it is necessary to have a good laptop that gives faster performance. Coding is a type of work where you need to have good concentration power. Coding on a slow laptop is tedious. So you must have a good laptop when you are in the development field. If you have a good laptop then you can easily work with various IDEs for various programming languages. So we are here to help you guys to select best laptops for programming/coding/designing/development. If you are a programmer than your efficiency depends on your working system (Laptops) directly or indirectly. It is so much necessary to have the best laptop to work on various programming projects in office or home. So here we will discuss how to select the best laptops for programming. There are certain things that you need to consider before selecting a laptop for programming. 1. Selecting the right platform: Mac or windows? The main important thing is to select the right platform to work on. Well, the main aim is to work on the laptop that is user-friendly. So select the platform on which you like to do programming. Programming on mac will be much better than on windows. But it’s all up to you. In terms of money, the mac will be costly and windows will be cheaper. But in terms of performance, the mac will be much better than any windows laptop for programming. Well, screen size is also much important for programmers. While working on any projects, it’s very important to have a screen size that adjusts the whole programs in one view. So select the good screen size laptops for coding. There are various size laptops available in the market. 13 inch or 15-inch laptop will be enough to work. Well, it’s the most important thing because all you need to have a smooth keyword or touch-pad that works fine with your system. So it will be good if your system has such a nice keyboard so that your speed increases while typing long software programs. 4. Hard disk or SSD? Well, to be frank, SSD will be much better. In terms of cost, the programming laptops with SSD have a high price but they are so faster. So it will be so good to have laptops that have SSD for storage. Even 12 GB SSD will be enough to work on. The most important factor is! Well working on faster system needs ram. While creating high-end software you need much RAM. So it’s very much important to have a good programming laptop with high RAM. I suggest you take a laptop with at least 6gb ram. So, this is a list of best laptops under Rs 30000. Hope you found your best phone and got the benefit of our article. All the listed laptops have a good webcam, sound quality, and DVD writer. Do share the article with your friends.